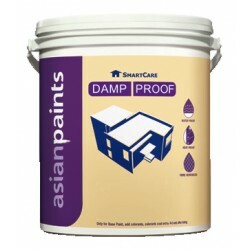 Damp-proof coating for RCC Water-tanks, internal walls and ceiling. By buying this product you can collect up to 38 loyalty points. Your cart will total 38 points that can be converted into a voucher of Rs. 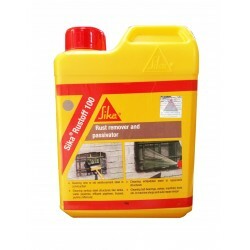 1.90.
application over cementitious surfaces. 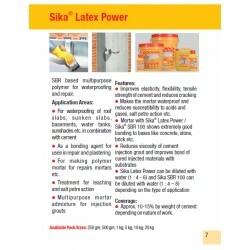 It is used as an internal coating for the waterproofing treatments of water tanks and building walls because it can be applied over damp surfaces, has excellent water resistance, adhesion, hardness, toughness, anti-algal & anti-fungal properties and sets faster similar to solvent based epoxy formulations. 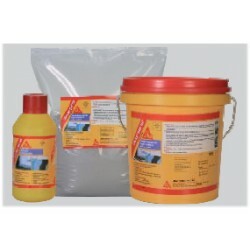 Waterproofing treatment for RCC water tanks. 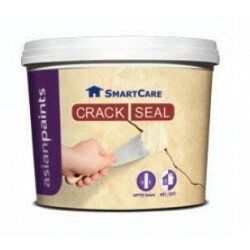 As putty with OPC- White cement to fill the fine cracks of internal walls. In sterile areas of pharma, food industries & hatcheries. 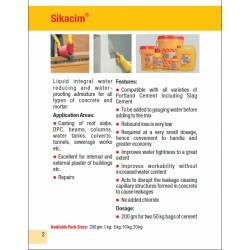 Economical - Water dilutable with high coverage hence economical. provides excellent water resistant coating. 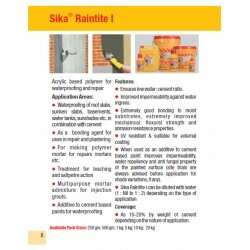 Permeability - Reduces water absorption & permeability. 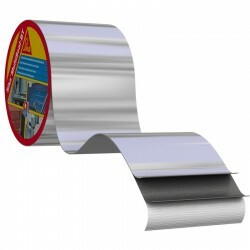 Film properties - Forms tough, hard & flexible coating. 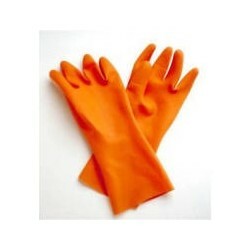 Chemical resistant - Excellent resistance to water, salt water, mild acids, alkalis & soap water. Water pressure - Can be applied from both sides of water pressure. 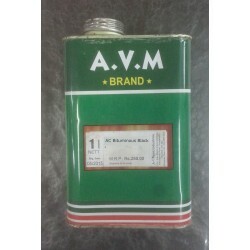 Eco-friendly - Non-hazardous and non-flammable. 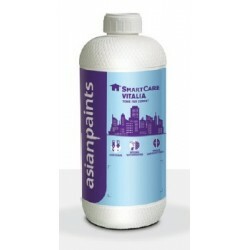 Microbial resistant - Possesses anti-fungal property and is resistant to micro-organisms. Clean the surfaces thoroughly, it should be free from oil, grease, dust, dirt, fungus and moss. Thorough wire brushing followed by sanding with emery paper is recommended. Remove the existing paint, neroo or instant lime, etc. while treating internal damp walls. First stir the Base and Hardener thoroughly in their individual packs to achieve the uniform consistency. Pour the Base part in appropriate container followed by the Hardener part and mix them thoroughly together to a homogeneous smooth paste. Dilute the mixed compound with water (In ratio of 1 part Base: 1 part Hardener: 1 part water) by slow addition and mix it thoroughly until a brushable consistency is obtained. Prepare a groove in the crack 1 mm to 5 mm. Clean the dust by washing it with water. Fill the cracks & grooves with Dr. Fixit Dampguard and cement modified putty & allow it to dry for at least 24 hours. Apply the first brush coat of mixed of Dr. Fixit Dampguard. Allow drying for 6 to 8 hrs. Incase of severe dampness problems, apply Dr. Fixit Dampguard – OPC white cement Putty on the entire surface area. Allow it to dry for at least 24 hours. Apply second brush coat of mixed Dr. Fixit Dampguard. 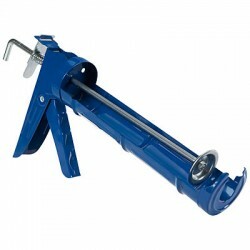 Allow it to cure completely for 24 hours before applying a cement sand plaster on wall or a screed on floors. Allow it to cure for minimum 3-4 days prior to storage of the water. 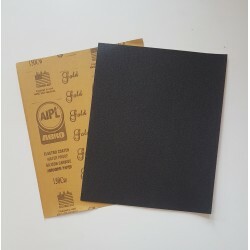 The treatment of Dr. Fixit Dampguard then must be cleaned with the help of damp cloth or sponge and with plenty of water prior to storage of the water. 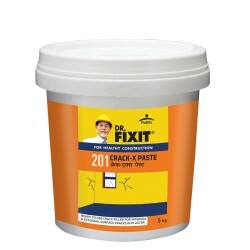 Mix Dr. Fixit Dampguard (1 part Base & 1 part Hardener) thoroughly, add 2 parts of Ordinary Portland Cement or white cement and add required amount of water to get a plaster like consistency paste. Clean the existing substrate as mentioned earlier in the surface preparation section. 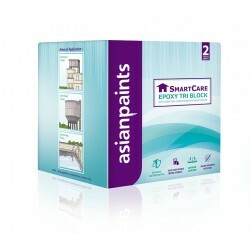 Apply two brush coats of mixed Dr. Fixit Dampguard at an interval of 6 hours. Allow it to dry for minimum 24 hours before applying a cement sand plaster on walls before painting. 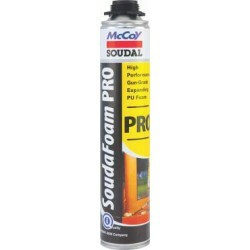 Dr. Fixit Dampguard modified putty can also be used incase of cracks observed on internal damp walls. Not suitable for rising dampness. All previous coatings to be completely removed before application of Dr. Fixit Dampguard. Do not over dilute the product. Dr. Fixit Dampguard when applied on exterior surfaces must be overcoated by weather durable coatings. Use nylon brush for easy brushability. Should not be applied on painted surfaces. 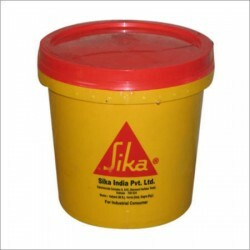 Not resistant to acids and alkalis of higher concentrations (usable up to 5% concentration) and for longer period. 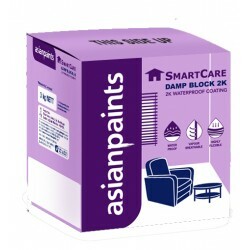 Drying & curing time depends on the condition of damp surfaces and temperature. Before mixing stir the individual packs to achieve uniform consistency.